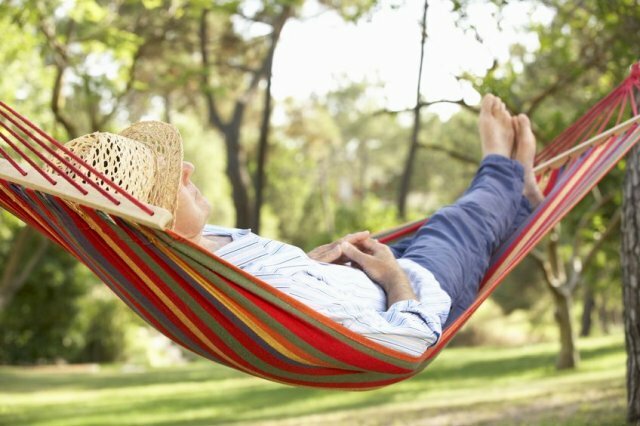 In today’s hectic, fast-paced world, it’s natural to want to escape from reality and recharge your batteries. So, how do you hit the reset button and refresh your mind? The key to avoiding burnout is self-care. While it’s easy to get swept up in the craziness of day to day life, it’s important to make your mental health a priority. It’s time to stop putting so much pressure on yourself in your personal and professional life. And most importantly, stop putting yourself last. When you put everyone’s needs ahead of your own, you will become emotionally drained. Remember that self-care isn’t selfish. Here are seven steps to refresh your mind and feel more rejuvenated. Calling all workaholics: Step away from your desk. Even if it’s only for 10 minutes, your mind will thank you. Not to mention, taking breaks is proven to make you more productive. Win-win! Ideally, go outside and walk if you can. It’s amazing what a change of scenery can do for your mental state. Breathe in the fresh air and give yourself permission to stop and smell the roses (or better yet, the stimulating scent of Berry Breeze). When you’re experiencing stress and anxiety, the best thing you can do for yourself is stop whatever it is you’re doing until the negative emotions pass. And while you’re at it, drink a glass of water. Proper hydration is essential to your overall health. How many cups of coffee have you had today? In this very moment, chances are you’re dehydrated. It’s a fact: 75 percent of Americans are dehydrated. Aromatherapy is an effective all-natural healing technique. Inhaling essential oils is proven to enhance cognitive performance and help you stay energized throughout the day. According to a study published in International Journal of Neuroscience, aromatherapy positively affected alertness, learning ability and participants’ overall mood. Forty participants were split into two groups: one given lavender (a relaxing aroma) and rosemary (a stimulating odor). They completed math calculations and questionaires to measure their mood before and after the aromatherapy treatment. Both groups showed increased alertness and math problem-solving skills, and also worked at a faster pace after aromatherapy. The rosemary group demonstrated decreased frontal alpha and beta power, which means a better ability to focus. If you’re looking to increase your energy and refocus, try the revitalizing and mood-boosting benefits of BoomBoom’s Cinnamint Nasal Inhaler. Nothing beats the feeling of getting lost in a good song. It’s like the world around you becomes a blur and you’re completely entranced in the melody and lyrics. It’s no wonder why many people turn to music therapy to ease their minds. Experts agree that if you’re having a difficult time concentrating, it may be to give your brain a tune-up (literally). The beauty of listening to music is that it helps us connect to the present. Writing down your thoughts can feel like an emotional cleanse. By putting your emotions on paper, you are taking control of them. This puts you in the position of the observer, rather than the victim getting sucked into a downward spiral of negative thinking. 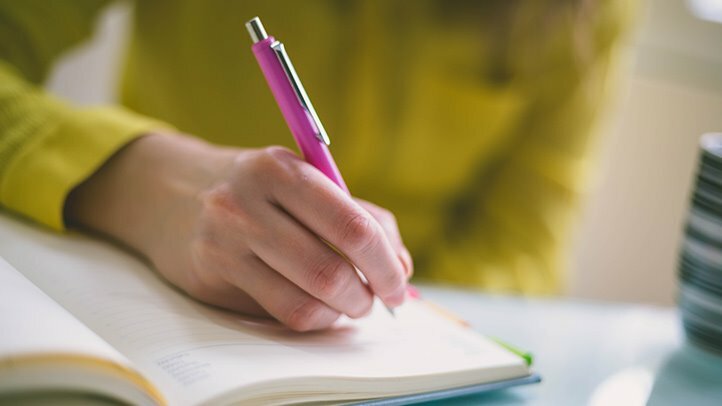 “Writing removes mental blocks and allows you to use all of your brainpower to better understand yourself, others and those around you,” says Maud Purcell, LCSW, CEAP. Journaling not only helps refresh your mind, but it also reduces stress. “Writing about anger, sadness and other painful emotions helps to release the intensity of these feelings. By doing so you will feel calmer and better able to stay in the present,” Purcell explains. Write every day for 20 minutes. Don’t overthink or censor yourself. The point is to be open and honest, expressing yourself as authentically as possible. In addition, keeping a journal can help “explore more positive reframing options. When writing about positive experiences, this allows you the ability to maximize and savor the positive feelings you may have for the good things that have happened in your day. This is also a great way to expand on the positive and manage the negative things that happen in your life, increasing your positivity ratio, which is an important aspect of stress management,” says Elizabeth Scott, MS.
By writing in a stream of consciousness, you will start to see thought patterns emerge. Writing about events “helps one process them by fully exploring and releasing the emotions involved, and by engaging both hemispheres of the brain in the process, allowing the experience to become fully integrated within one’s mind,” Scott says. In other words, journaling provides a new perspective by allowing you to process your thoughts in a healthy way. Aside from emotional release, writing about positive experiences will allow you to savor the moment. To refresh your mind, try writing about a time when you felt truly happy and at peace. Be as specific as possible and include as many details as you can. The point of this exercise is to take your mind to a relaxing space, free from worry and stress. To anchor in this calm, refreshed state, use this Defend and Restore Essential Oil Roll-On. A clear physical space and a clear headspace go hand-in-hand. If your external environment is messy and scattered…well, you can guess how that impacts your mental state. Ask yourself: What areas of your life can be decluttered? This can range from your inbox and office to your bedroom closet. Get rid of the old to create space for new! You know the cranky feeling you experience after a bad night's sleep? Ten snooze buttons later and you are still dragging yourself out of bed. It’s like your brain is operating in slow motion, and on those days you’re more prone to feeling stressed and irritable. While the average adult needs approximately seven to nine hours of sleep at night to function, let’s face it: many of us only get between five and six (if we’re lucky). To promote more restful sleep, you should start establishing a bedtime routine. Turn off all of your devices at least 30 minutes before your head hits the pillow. Studies show our cell phones emit a blue light that messes with our body clock and can negatively impact our sleep patterns. Getting into a schedule will help bring your body back into balance. Keep your room dark and cool. Both light and temperature affect sleep quality. In terms of room temperature, experts recommend 60 to 67 degrees Fahrenheight. As the saying goes, a good day starts the night before. Author and motivational speaker Jim Rohn once said, “You are the average of the five people you spend the most time with.” And he is absolutely right. Not surprisingly, the average stress level for those without emotional support was 6.3 out of 10, whereas people with emotional support scored a 5.0 out of 10 on the stress scale. So, don’t be afraid to reach out for help. In many cases, talking to a close friend or family member can alleviate the stress and anxiety you’re feeling. When it comes to relationships, it’s about quality over quantity. Having a handful of close, loyal friends is more beneficial than a large network of acquaintances. Are you ready to follow this 7-step guide to refresh your mind? Give it a try and let us know what you think! Share your comments below.